A delicious and easy to make appetizer / starter, these Fried Masala Prawns are perfect for any occasion or party. Serve with mint chutney for the extra flavour. Mix the beaten eggs, red chilli powder, lemon juice, maida and salt in a bowl. Add the prawns to this and keep it aside for 30 minutes. 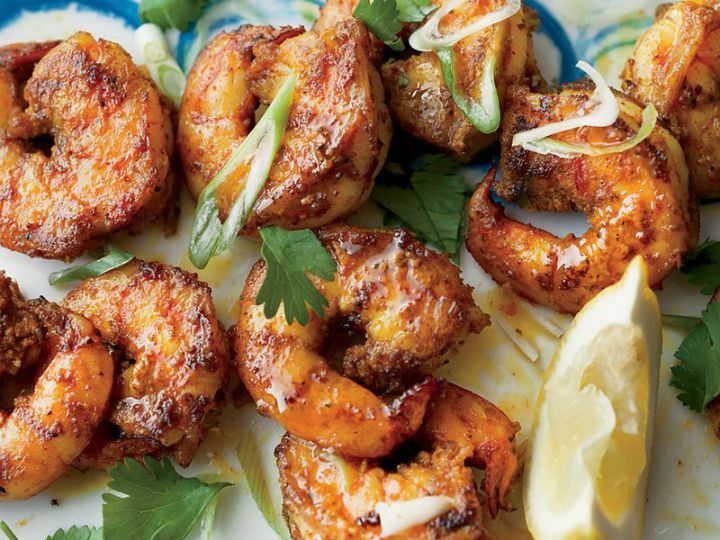 Remove the prawns, one by one, shake off any excess marinade and coat them with the breadcrumbs. Add to the hot oil and deep fry until golden brown. Sprinkle some chaat masala on them. Feel free to comment or share your thoughts on this Fried Masala Prawns Recipe from Awesome Cuisine.